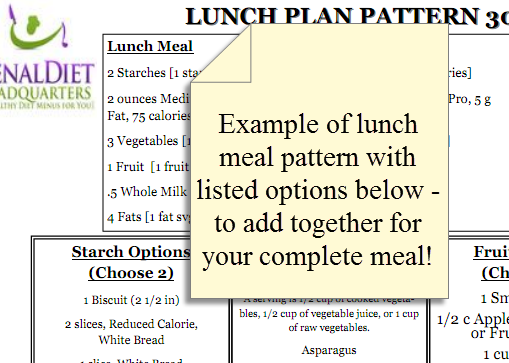 How do you know what to eat for breakfast, snacks and lunches? 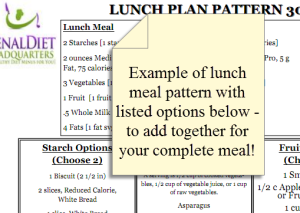 You get a meal pattern that gives you the flexibility of choosing from the different food types (fruits for example) and create your meals for the day. 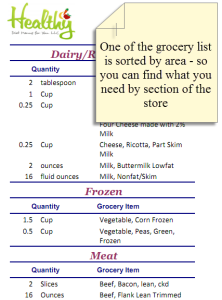 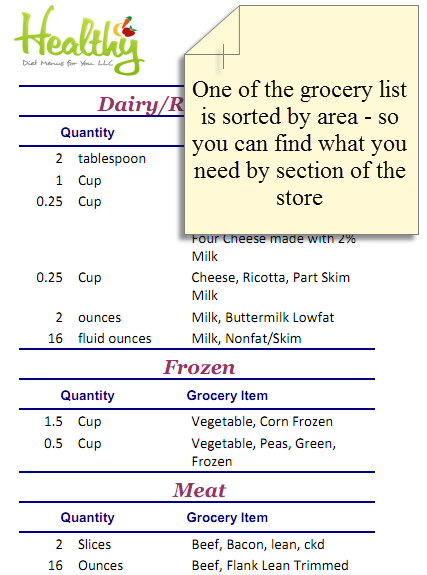 Add those items to the shopping list, and you are ready for the week. 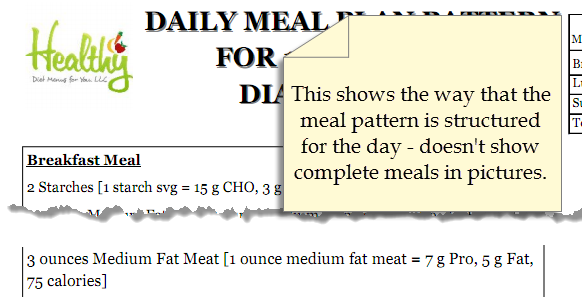 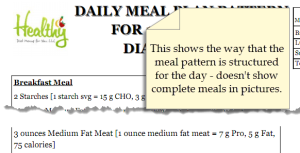 It’s as simple as adding the meal together using the sheet and you are always ready to eat and keep your blood sugars i n check!